WiFi fingerprinting is currently one of the most popular techniques for indoor localization as it provides reasonable positioning accuracy while at the same time being able to exploit existing wireless infrastructure. To facilitate calibration efforts and to overcome fluctuations in location measurements, many indoor WiFi positioning systems utilize a discrete partitioning, e.g., a grid or a topological map, of the space where the positioning is being deployed. A major limitation of this approach, however, is that instead of considering spatial similarities in the signal environment, the partitioning is typically based on an uniform division of the space or topological constraints (e.g., rooms and walls). This can significantly decrease positioning accuracy when the signal environment is not sufficiently stable across all partitions. Moreover, current solutions provide no support for identifying partitions that are not compatible with the current wireless deployment. 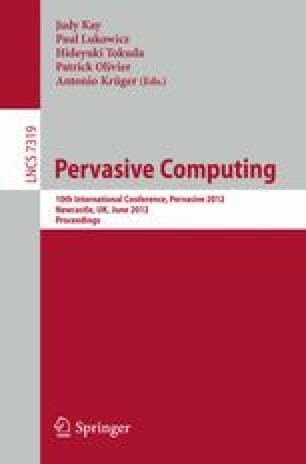 To overcome these limitations, we propose AWESOM (Activations Weighted by the Euclidean-distance using Self-Organizing Maps), a novel measure for automatically creating a discrete partitioning of the space where the WiFi positioning is being deployed. In addition to enabling automatic construction of a discrete partitioning, AWESOM provides a measure for evaluating the goodness of a given partitioning for a particular access point deployment. AWESOM also enables identifying partitions where additional access points should be deployed. We demonstrate the usefulness of AWESOM using data collected from two large scale deployments of a proprietary wireless positioning system in a hypermarket environment.